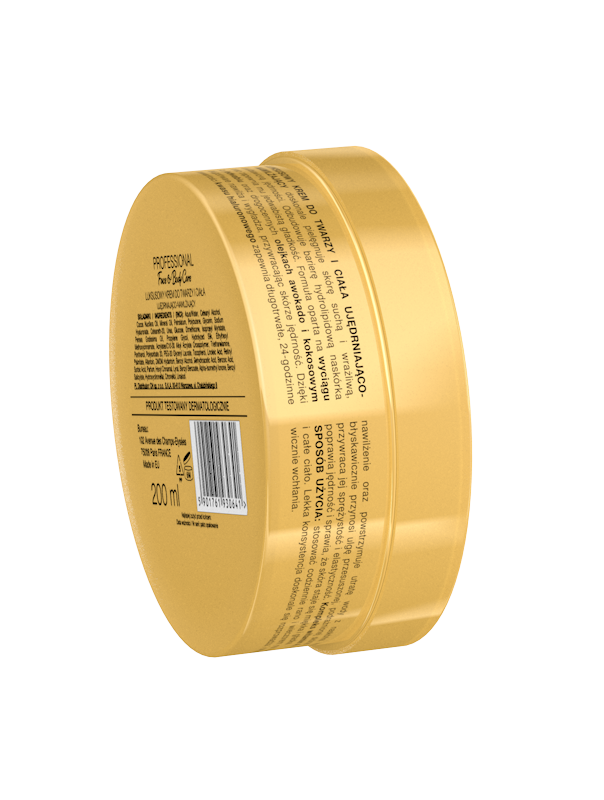 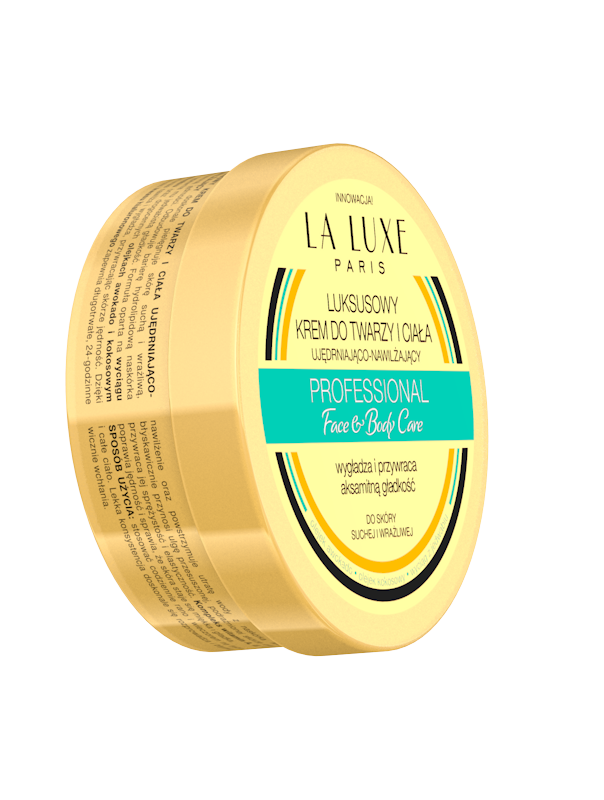 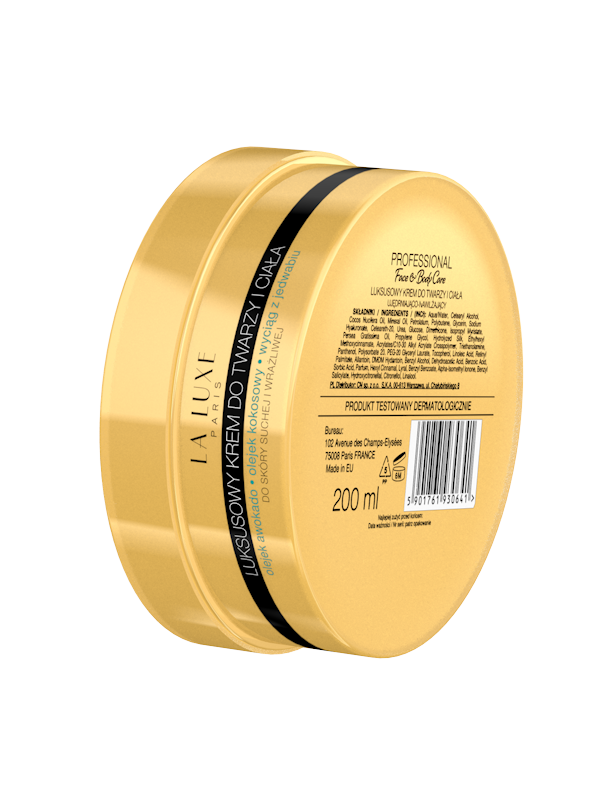 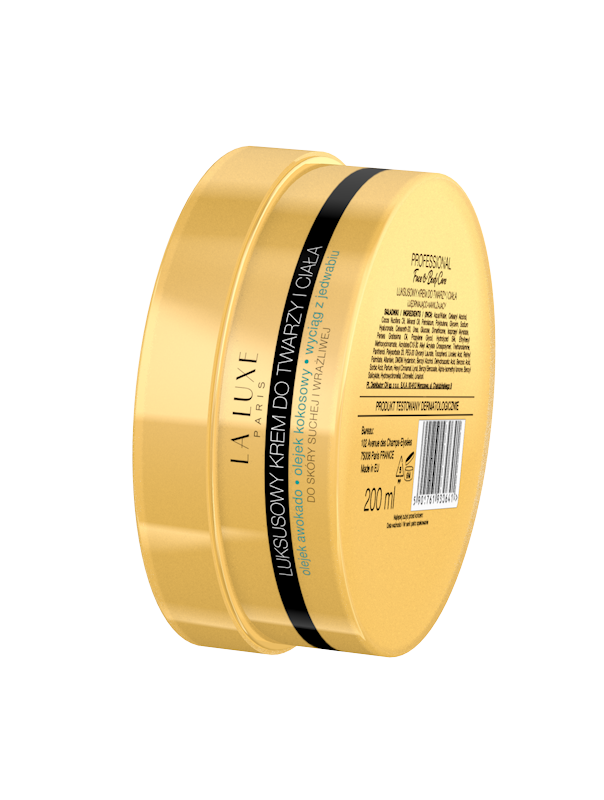 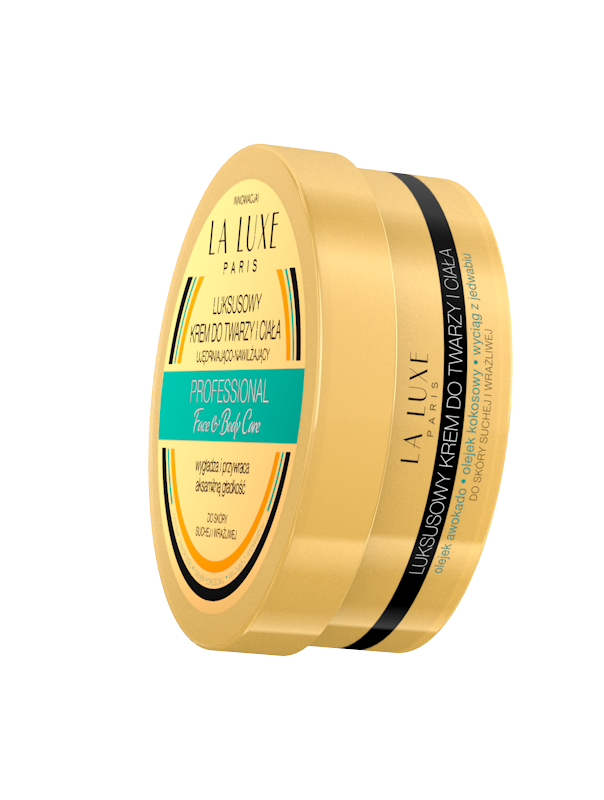 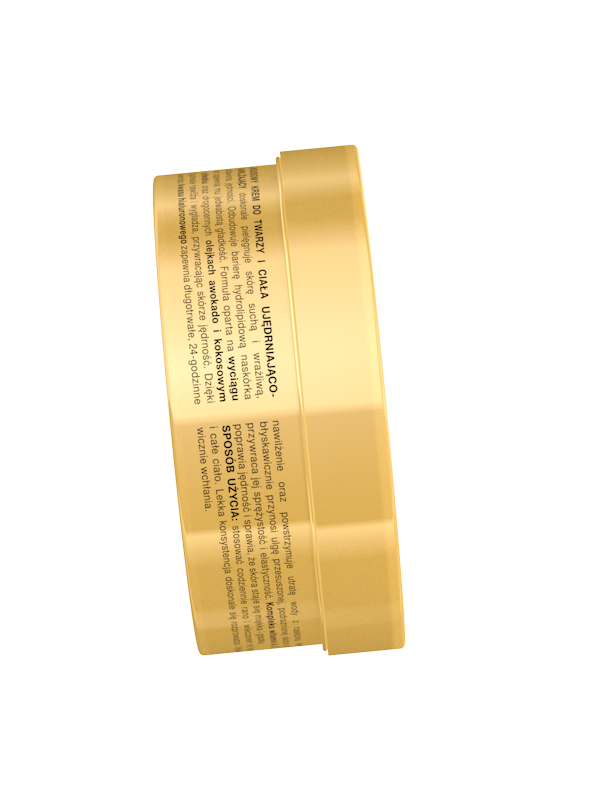 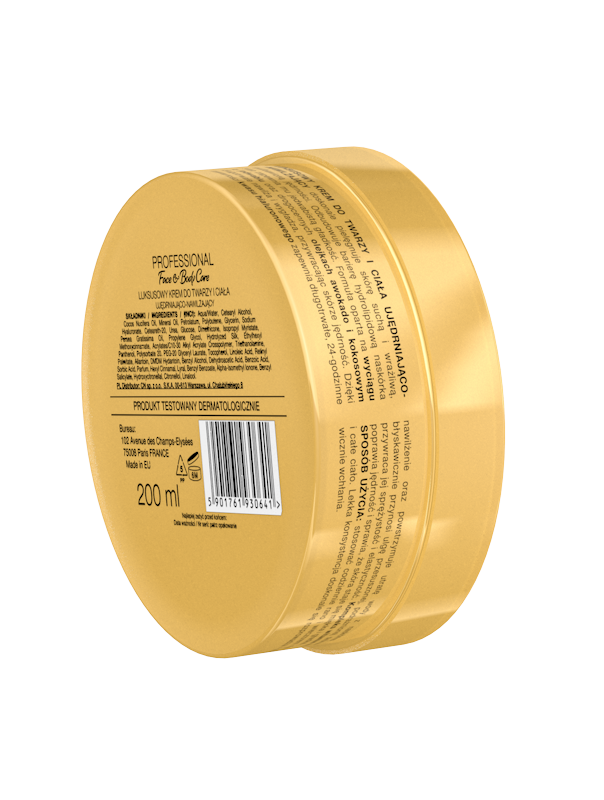 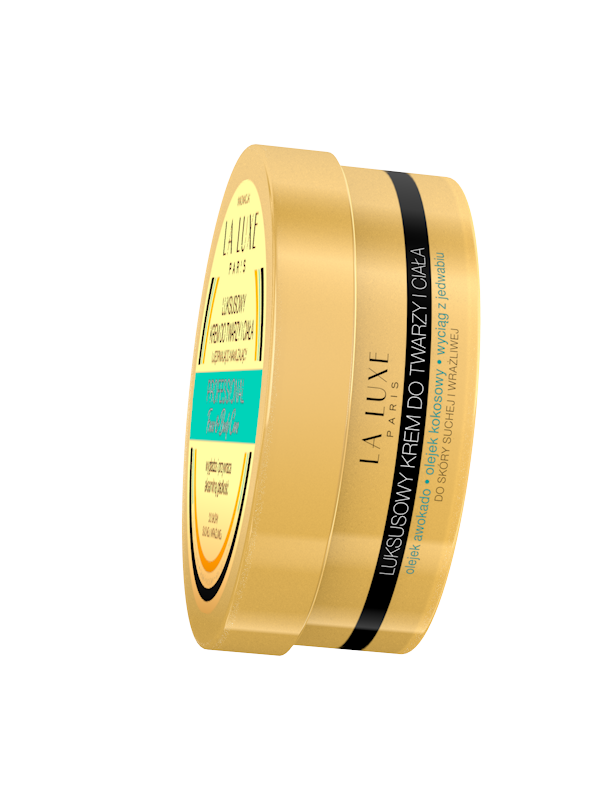 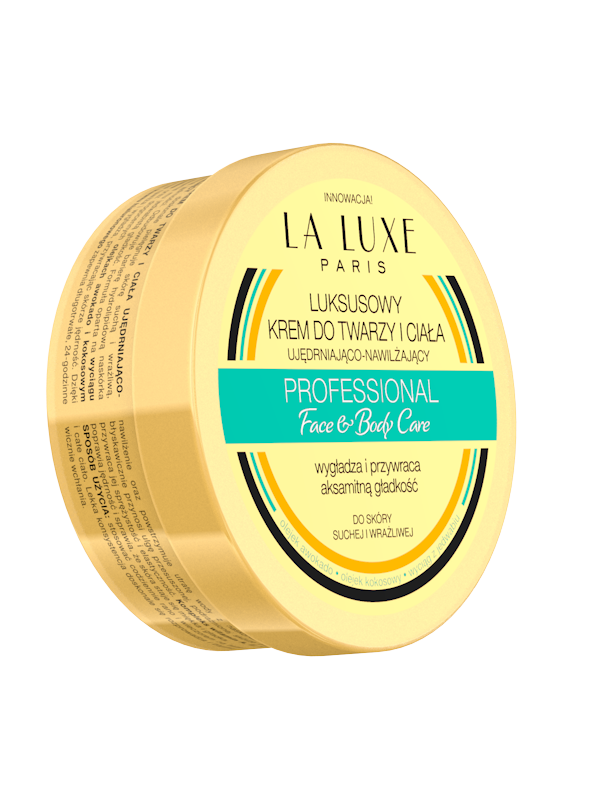 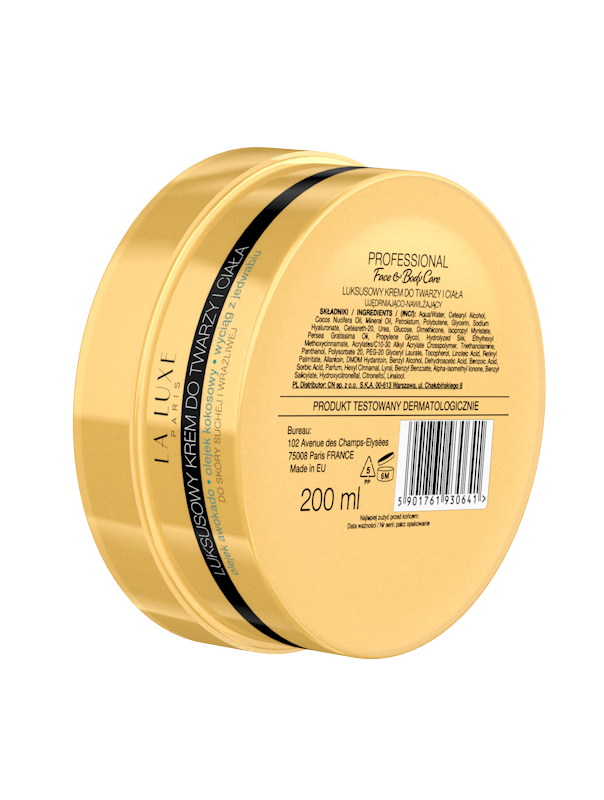 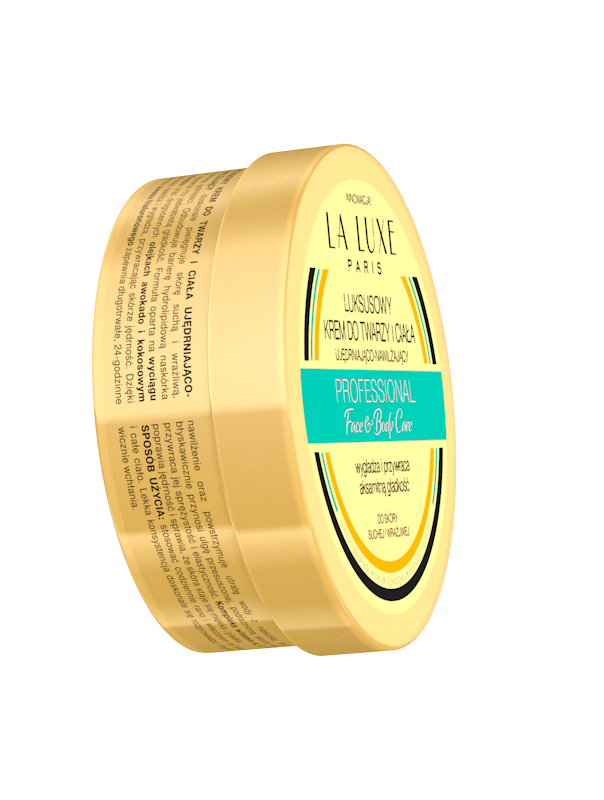 Luxury face and body cream- firming and moisturizing- it nourishes dry and sensitive skin with lack of firming. 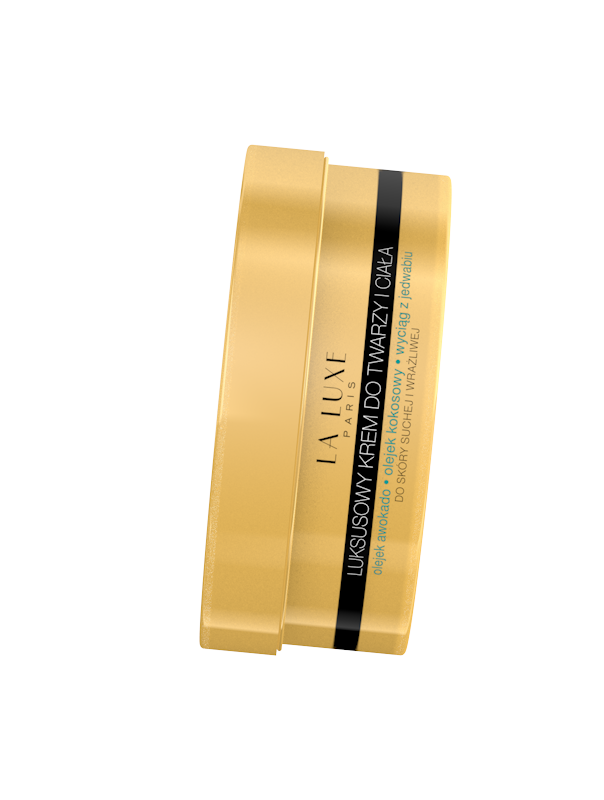 It rebuilds lipid barrier of epidermis and ensures silky smoothness to the skin. 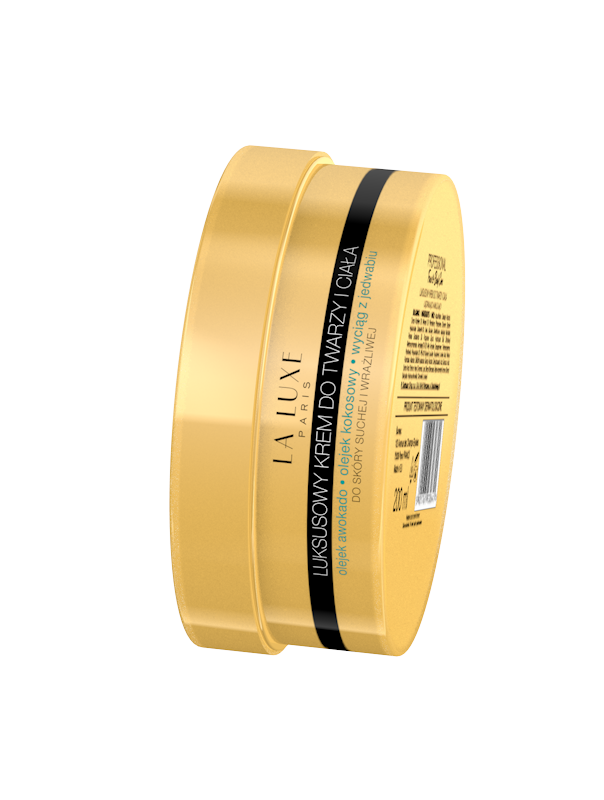 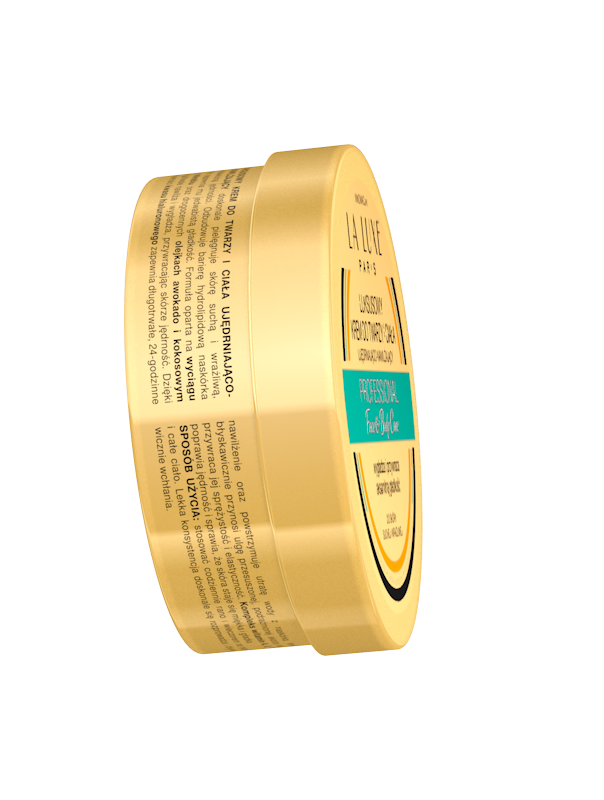 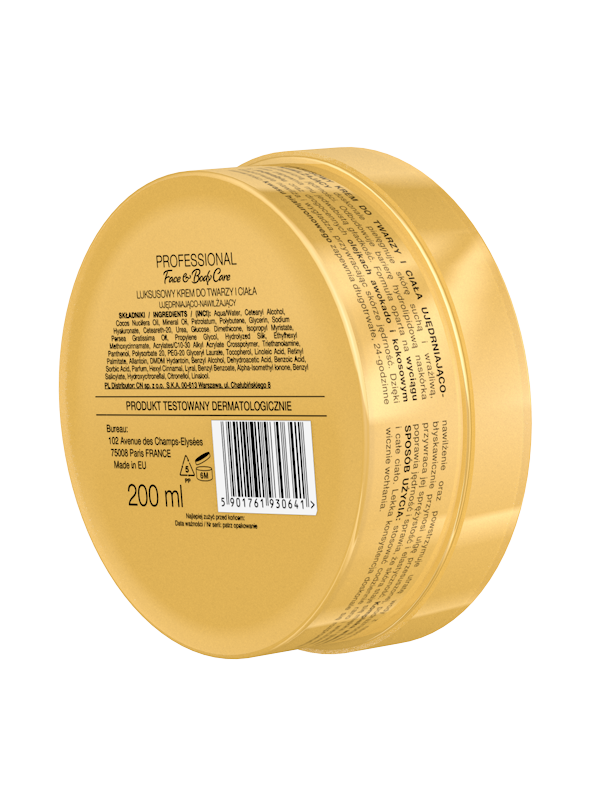 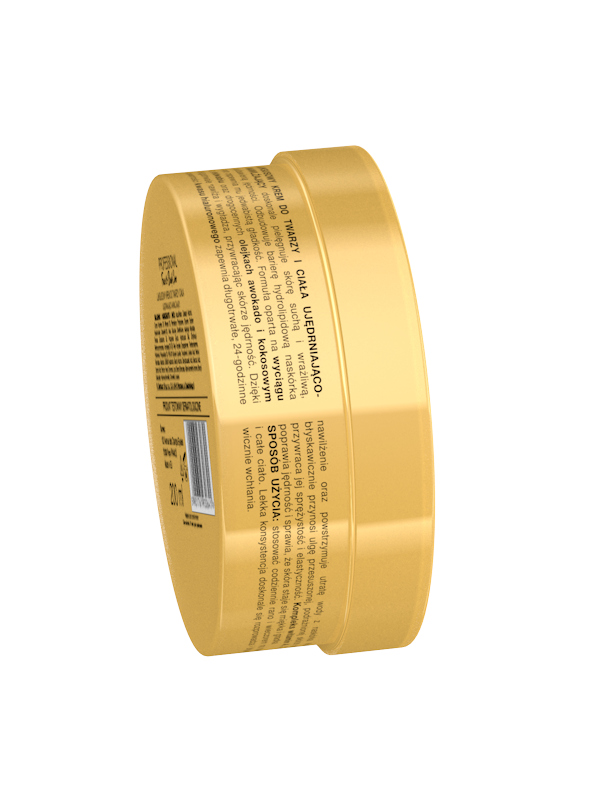 It contains silk extract and avocado and coconut oil, provides long- lasting moisturizing and firming to your skin. 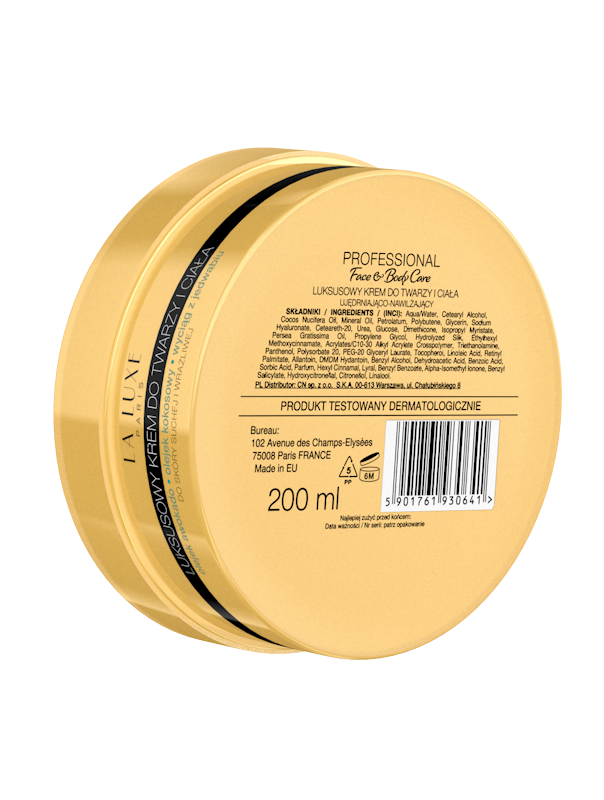 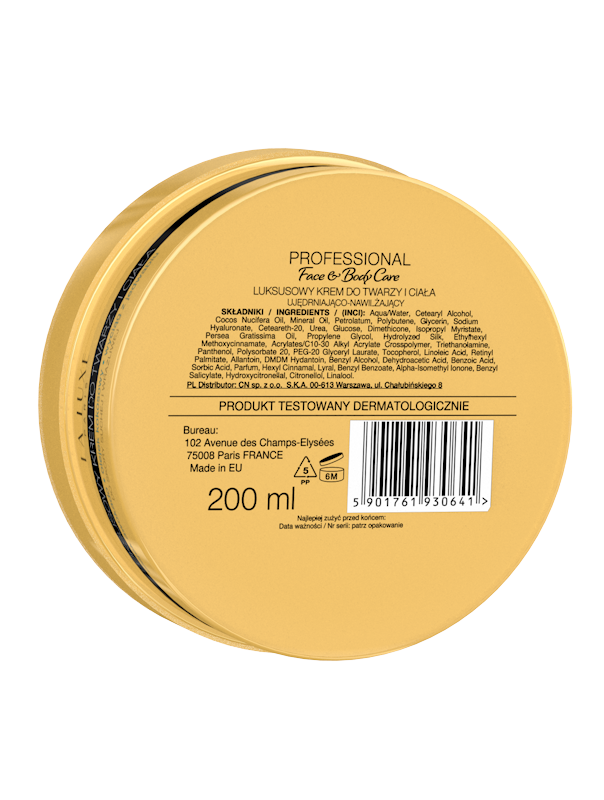 Hyaluronic acid ensures 24 hours lasting moisturizing effect and restrains water loss. 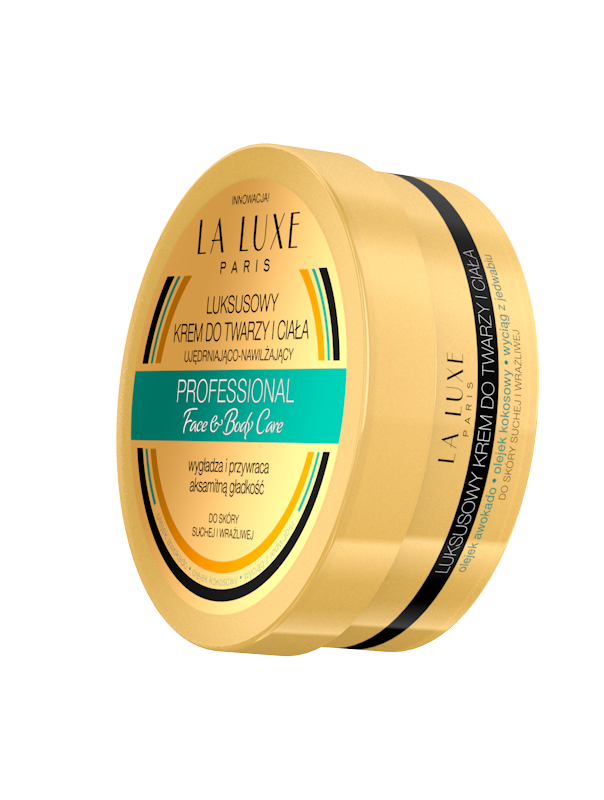 It brings instantly relief to your dry, irritated skin and restores its firming and elasticity. 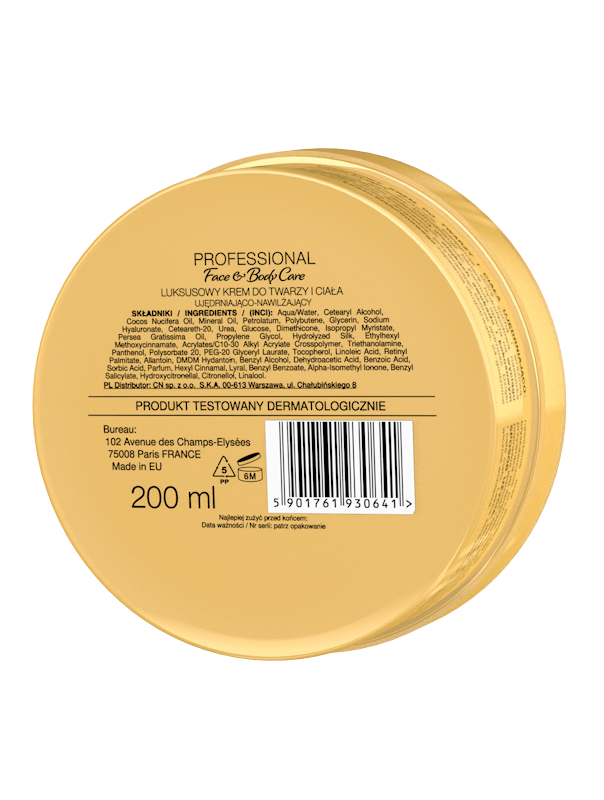 Vitamin complex A, E, F- enhances skin’s firming and leaves skin soft and smooth. 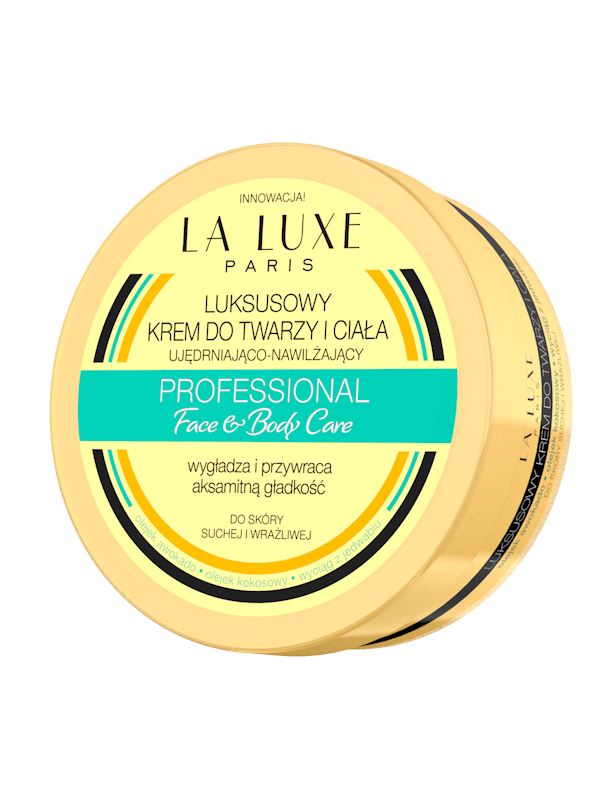 HOW TO APPLY: apply every day and night on face and body. 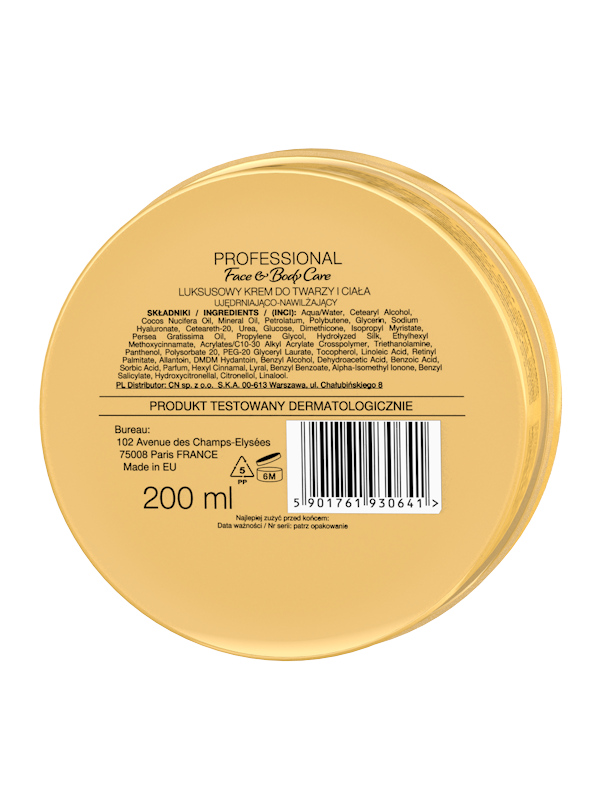 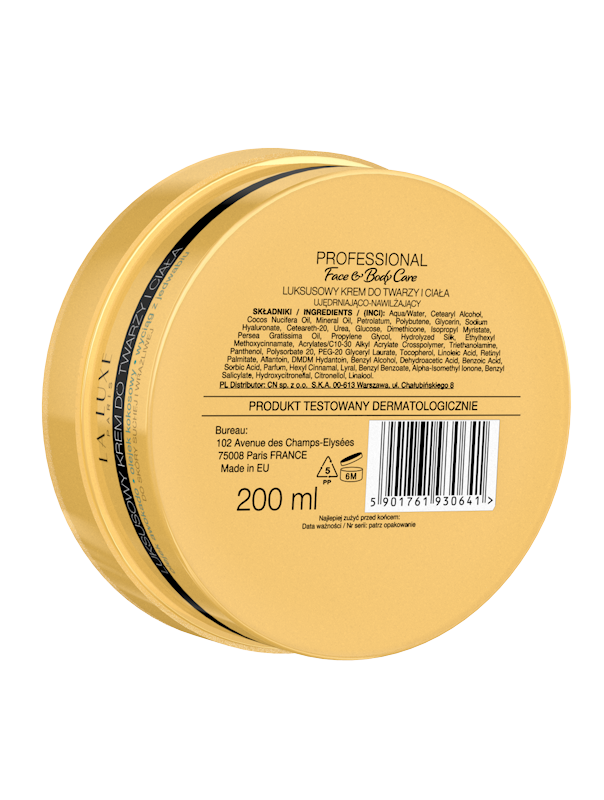 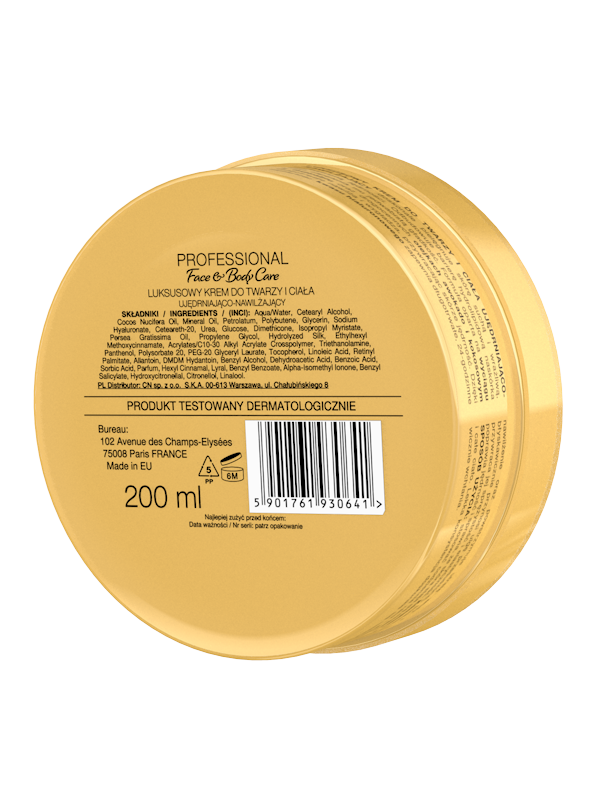 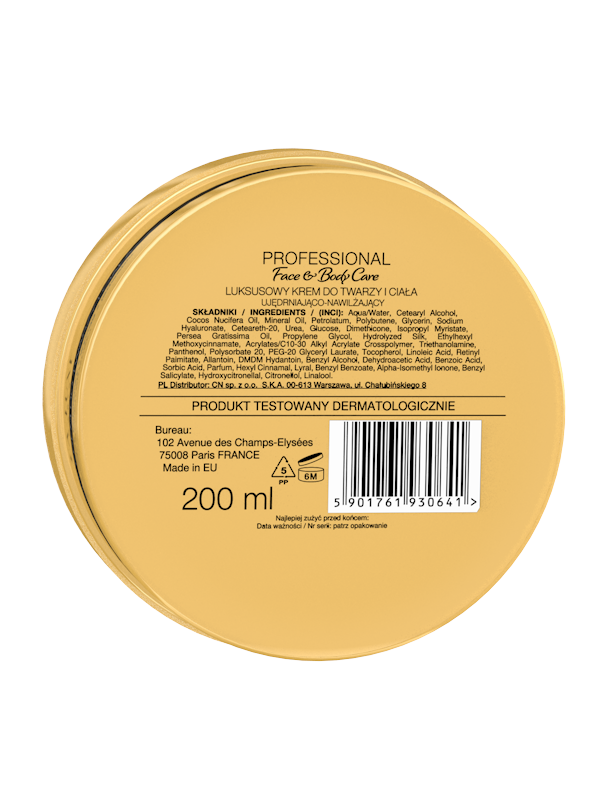 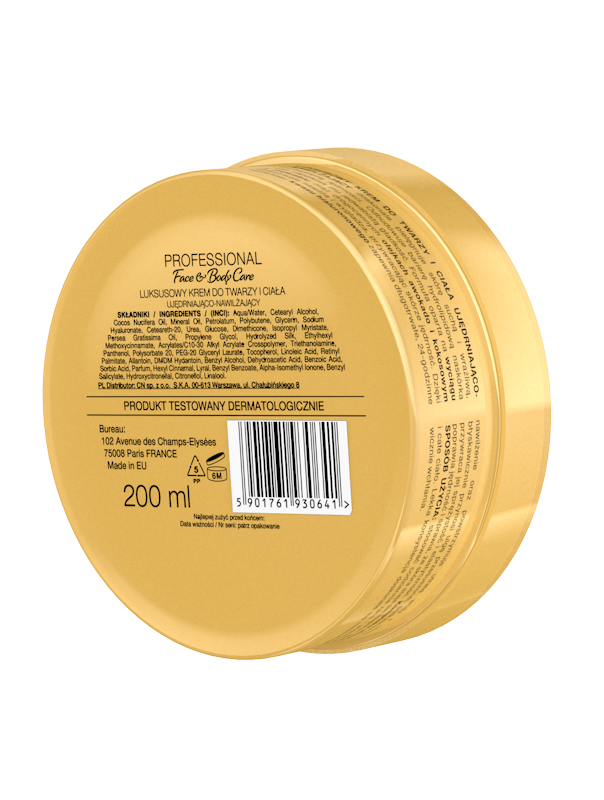 Its light texture is easy to apply and absorbs very quickly.